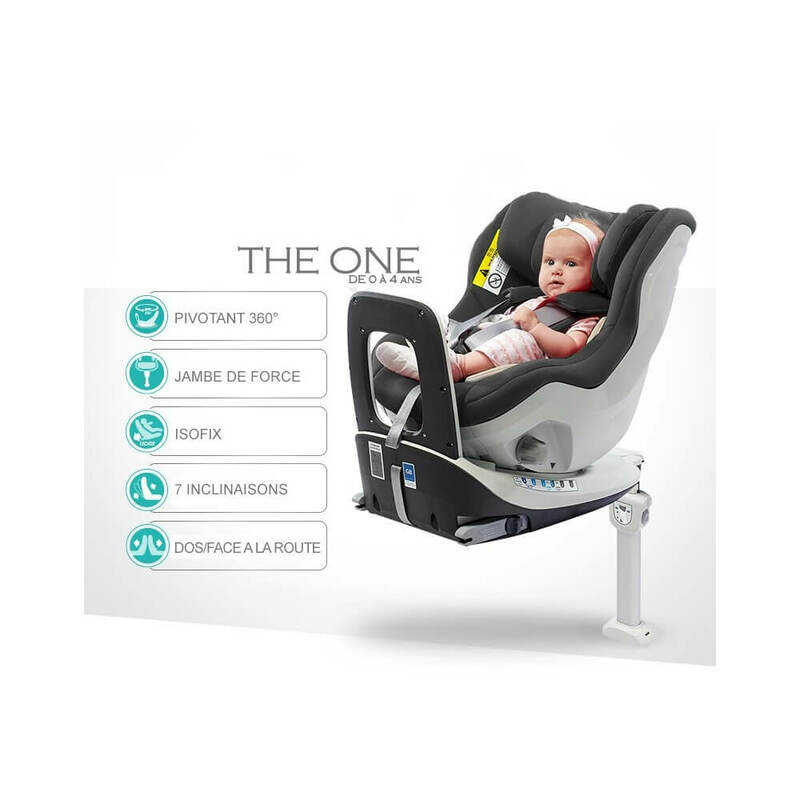 With the 360 degree rotation of "the ONE" by BEBE2LUXE it’s easy to place your child in the seat and change from rearward to forward facing. 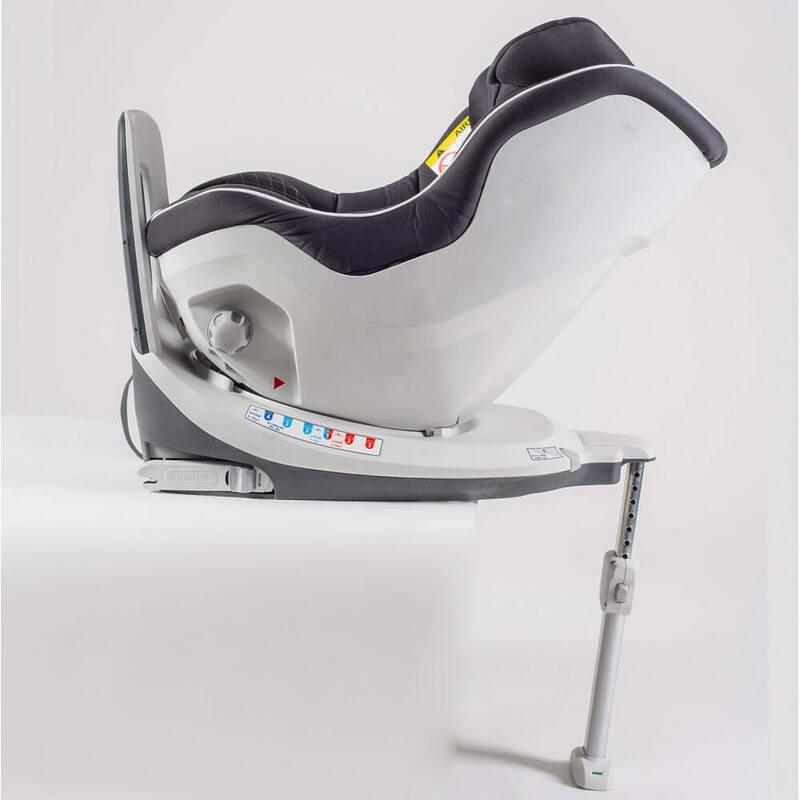 Initially used rearward facing up to 18 kg, you then have the option to either keep your child rearward facing or turn them forward facing, making it flexible and suitable from newborn all the way to toddler. 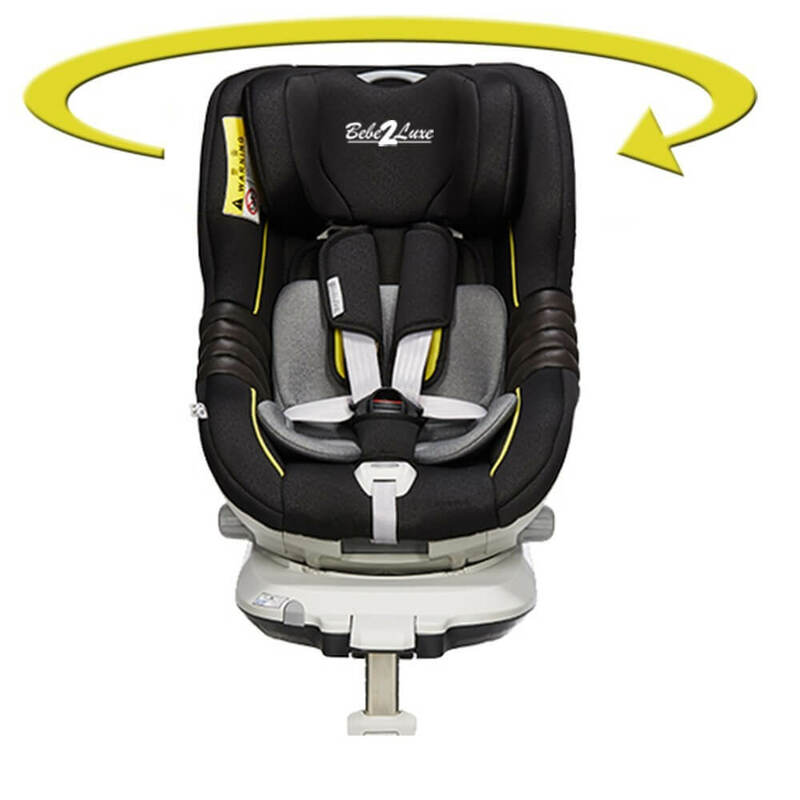 It includes all the safety features you’d expect from BEBE2LUXE, like Isofix and a Five-point safety harness. You can be certain your child will be safe, no matter of their age or size. 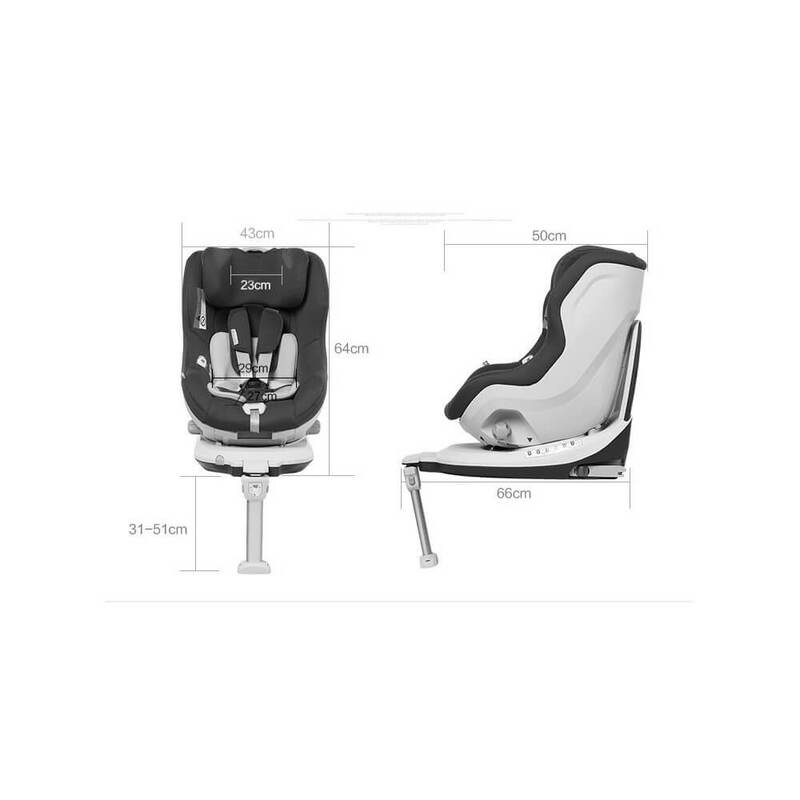 Full Features and Benefits Rearward facing from birth to 18 kg. 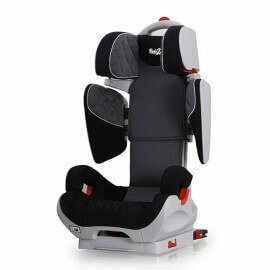 Choose rearward facing or forward facing for your child from 9 - 18 kg. Five-point safety harness with one-pull adjustment distributes the impact forces out across the strong bones of the body and into the seat. 360 degree seat rotation makes it easy to move the seat between rearward and forward facing without re-installing. 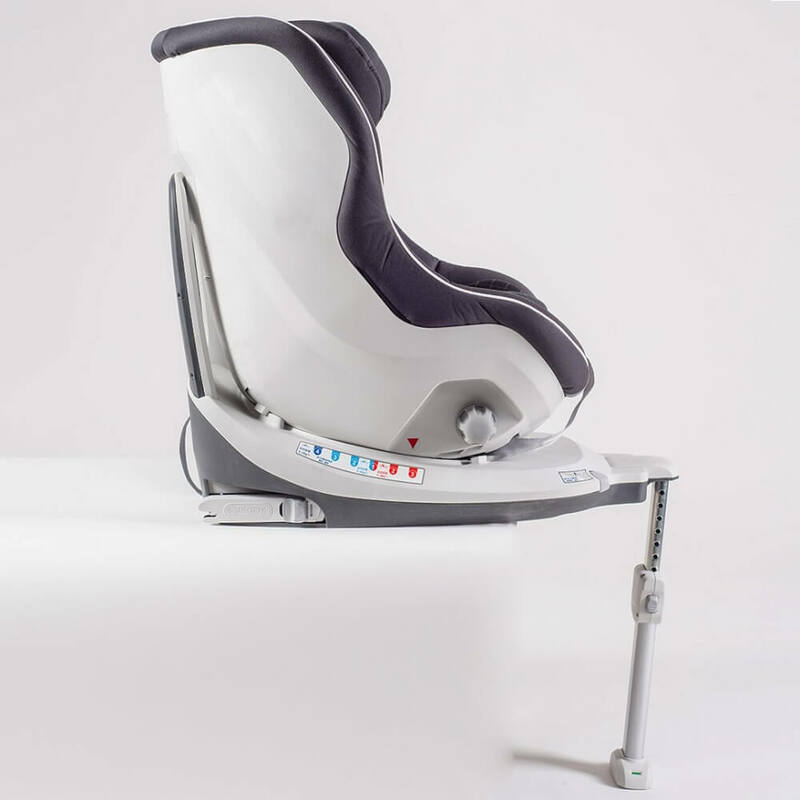 Isofix system allows direct connection to the car’s Isofix anchorage points for a simple and safe installation. 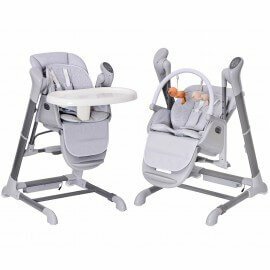 Multiple recline positions allow a comfortable sleeping position for your child that you can adjust without disturbing them. 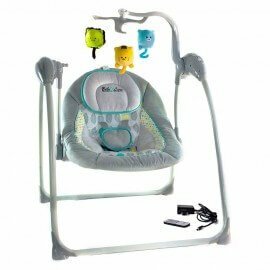 Newborn insert provides extra comfort and support for your baby. Height-adjustable headrest and harness with easy single-handed adjustment. 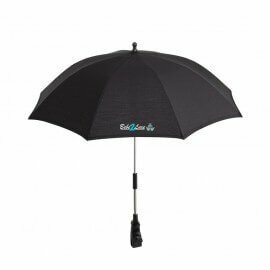 Deep, softly padded full side wings provide optimum side impact protection. Performance chest pads reduce your child’s forward movement and energy. Installation indicators confirm the seat is installed correctly. 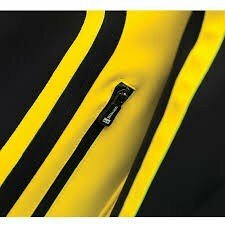 Quick-remove washable cover eliminates the need to remove the harness when washing the cover. Belly pad for your child’s comfort. Softly padded cover keeps your child comfortable in their seat. Je suis plus que ravie de ce siège. Il est parfait (plusieurs renforts, bien rembourré, sécurisant...). C'est exactement le produit que je recherchais pour mon petit lutin. J'ai pu comparé avec d'autres produits que j'ai vu en magasin spécialisé, proposant des sièges à des prix plus onéreux... Et bien ce siège est tout à fait à la hauteur. Je le recommande. Pour information, j'ai une Peugeot 2008 et ça passe parfaitement, je ne suis pas obligée de me coller au tableau de bord, j'ai de la place comme il faut, sachant que mon mari et moi sommes grands. Installation très simple, il suffit de lire la notice. 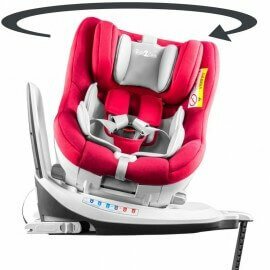 Il y a plusieurs crans pour sortir les fixations isofix, mais une fois le tout fixé le siège ne bouge pas du tout. Rotation et inclinaison très simple à utiliser. Le produit en tant que tel répond parfaitement à nos attentes. A voir dans le temps car nous n'avons pas encore eu le temps de le tester.